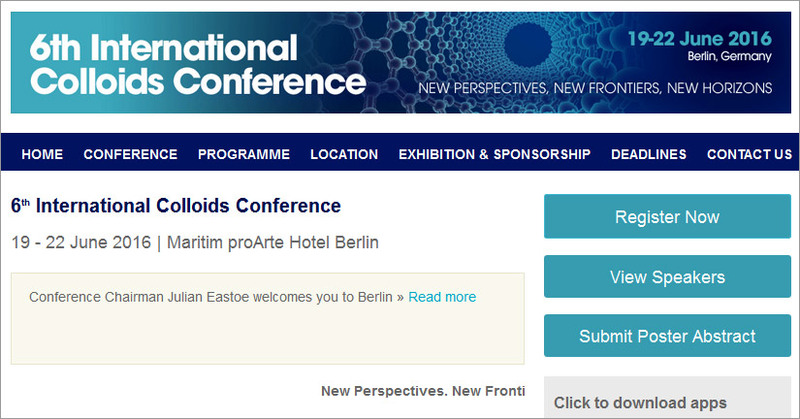 At the upcoming International Colloids Conference in Berlin, there will be a perfect gender balance of keynote and invited speakers. The same was true at last year’s event. Equality in representation is a key feature of this conference series. 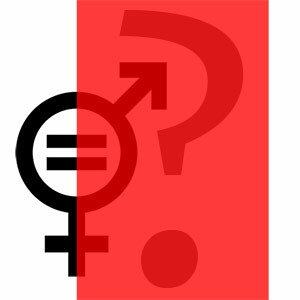 It is important to have this balance, not only because equal opportunities for women and men are fundamental principles of human dignity, but because we have to maximize our potential in creativity and innovation and need the best minds on the job independent of gender and race – and because there are instances in scientific research where gender does matter. 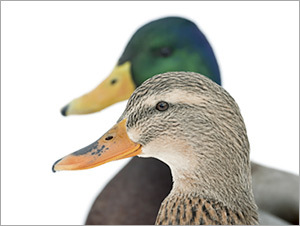 However, in chemistry as a field, an even representation is still far from the norm. For example, the Nobel Prize in Chemistry has been awarded 107 times to 172 Laureates, but there have been only four female winners: Marie Sklodowska-Curie in 1911 for the discovery of radium and polonium (she also won the prize in physics in 1903, along with Pierre Curie and Henri Becquerel); Irène Joliot-Curie in 1935 for artificial radioactivity; Dorothy Crowfoot Hodgkin in 1964 for protein crystallography; and Ada E. Yonath in 2009 for the structure and function of the ribosome. The UNESCO Institute of Statistics is a good source to analyze the percentage of women researchers per region and subject area. The world average of women in science is 28 percent; for North America and Europe, this percentage is only slightly higher at 32 percent. Take for instance the UK, having 55 percent female bachelor students, 47 percent female doctoral students and 38 percent female researchers. For countries such as Germany and France, this percentage is even lower, and so it is clear that the number of women who remain in research after completing a PhD is low. 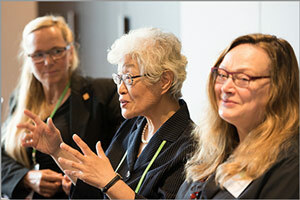 In 2006, the Elsevier Foundation started its New Scholars grant program, which has contributed to the advancement of early to mid-career female scholars, helping address work-life balance issues and the demands of science, health and technology careers. Since then, the program has provided 50 grants and about $2.5 million, including grants for family-friendly policies, career skills, dual career issues, recognition awards, benchmarking studies, and childcare grants that help researchers boost their visibility by attending conferences. 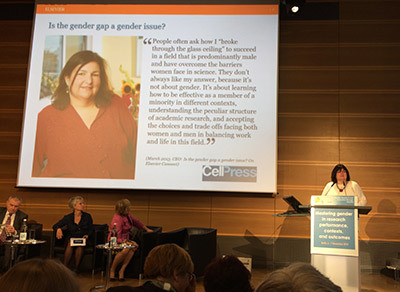 At the 7th Gender Summit in Berlin last November, Dr. Emilie Marcus, CEO of Cell Press at Elsevier, focused on the role science publishers can play in advancing gender equality in science. 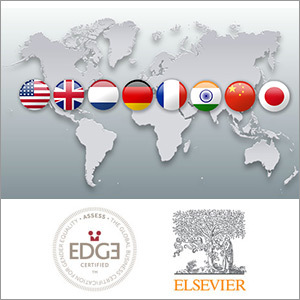 Elsevier colleagues have come to realize that they, too, can contribute to change by addressing gender issues within their own organizational structures and by supporting gender equality in the science landscape, for example, by promoting gender balance on editorial boards, addressing unconscious bias in peer review, and attending to the gender dimension in research design in their editorial policies. One of the Elsevier journals in the field of colloid chemistry, Colloids and Surfaces B: Biointerfaces, has had a perfectly gender-balanced editorial board. 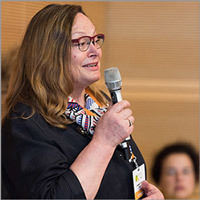 For the 6th International Colloids Conference (June 19 to 22 in Berlin), Conference Chair Dr. Julian Eastoe, Professor of Chemistry at the University of Bristol, UK, and Editor of the Journal of Colloid and Interface Science, has ensured that 50 percent of the invited and keynote speakers are women. 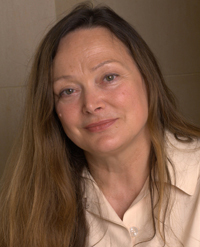 In my opinion, for science to reach its full potential, it needs to draw on all available talent; it needs to embrace different experiences, perspectives and opinions; it needs to provide a receptive and supportive but also an intellectually rigorous environment where all contributions are valued and all voices are heard. If we want to do the best possible science, gender balance is the most important issue to address. The fact that this involves colloid chemistry, the knowledge of which is used in product innovations for which women are one of the biggest market … shows that the field cares about gender balance. This will help attract more women to study it, but also hopefully persuade industry to involve more women in the innovation process – in idea creation, addressing safety concerns, etc. 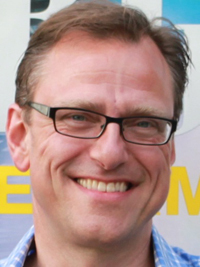 Rob van Daalen is a Senior Publisher at Elsevier, responsible for a portfolio of journals in Physical and Theoretical Chemistry. He studied Analytical Chemistry and is based in Amsterdam. He has held various positions within Elsevier and has been working as a publisher for eight years now. Rob is an Elsevier volunteer for the IMC Weekendschool, which offers extracurricular motivating education to children aged 10 to 14 from low-income socioeconomic areas.